I’ve wanted a jumpsuit for some time now and I’ve been reluctant to buy one because most of the jumpsuits I’ve tried on didn’t fit. However, recently when I was shopping at City Chic [Brea], I tried on the daisy jumpsuit and I really liked it. When I saw this one online I ordered it immediately. I love City Chic very much – everything I’ve worn has been excellent quality and the fit has been fantastic [wearing a 22, size xl in this jumpsuit]. #corporatetocouture is about taking a workwear piece and styling it for wear outside of the office. I can’t stress enough how important this is for young professionals like me. I need to be covered and professional in the office and glam when I leave each evening. 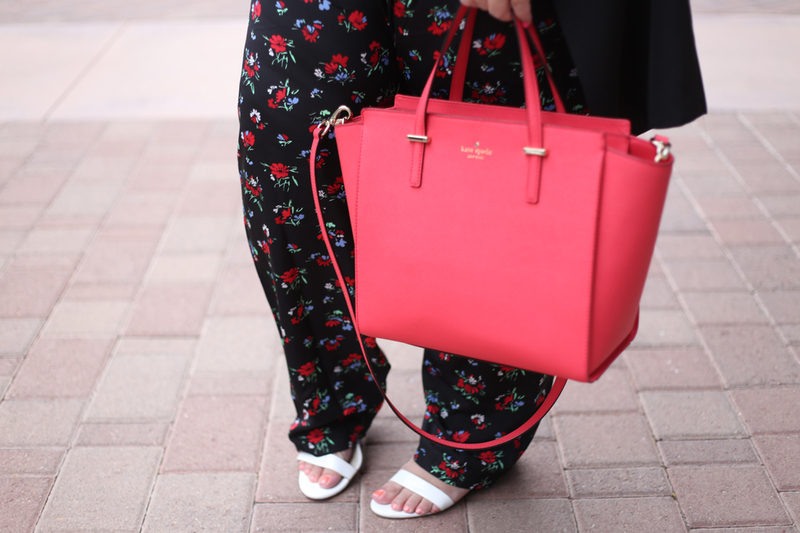 For maximum suit-like appeal, I paired this jumpsuit with a crepe vest, ankle strap wedges and a Kate Spade work bag [links below]. To glam up this perfectly professional workwear outfit, I ditched the vest and traded the tote for a sleek chain strap crossbody [links below] Sometimes we need to make the transition from #corporatetocouture in a matter of minutes, and this quick little switch-a-roo will have you slipping rightly into the night next to your fav gal pals or your super sweet bae. #corporatetocouture looks are designed to demonstrate the power of a good workwear piece. These looks are not designed for wear in the courtroom, unless specifically stated in the post. When dressing for your career, its always important to dress appropriately in accordance with the type of environment that you work in. Please share your #corporatetocouture looks on instagram and I may repost your photo!